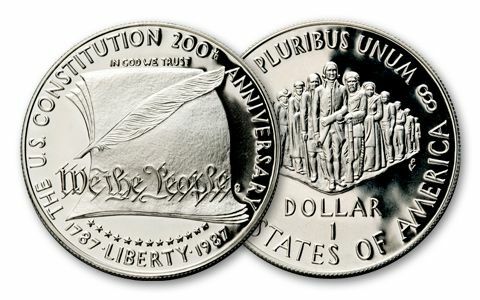 To honor the 200th anniversary of the U.S. Constitution, the U.S. Mint struck this spectacular Proof Silver Dollar in 1987. It shows our nation’s most important document on one side and a gathering of Americans from different time periods on the other. 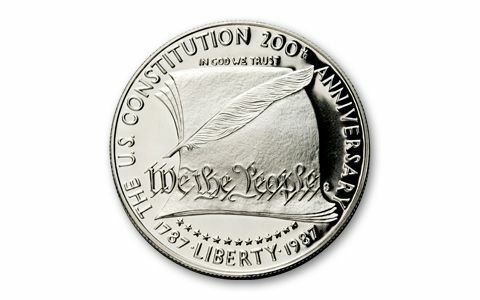 One of the earlier modern silver dollars, the 1987 Constitution Proof is already over 25 years old, and not so easy to find today. 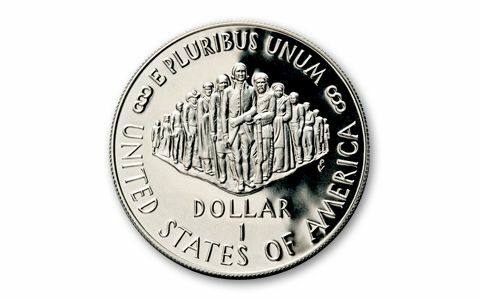 Your Proof is protected in a plastic capsule, so it’s as fresh and frosty as the day it was minted. Get yours today!